I adapted this recipe years ago from a River Café cookbook and have been serving it regularly as a starter ever since. I either have it on a platter along with other antipasti or if trying to be a bit more formal, plate it before serving. Somehow the nuttiness of the parmesan, the freshness of the fennel and the earthiness of the bresaola, make for a perfect combination. If you don’t like the strong aniseed flavor of fennel, give this a chance. 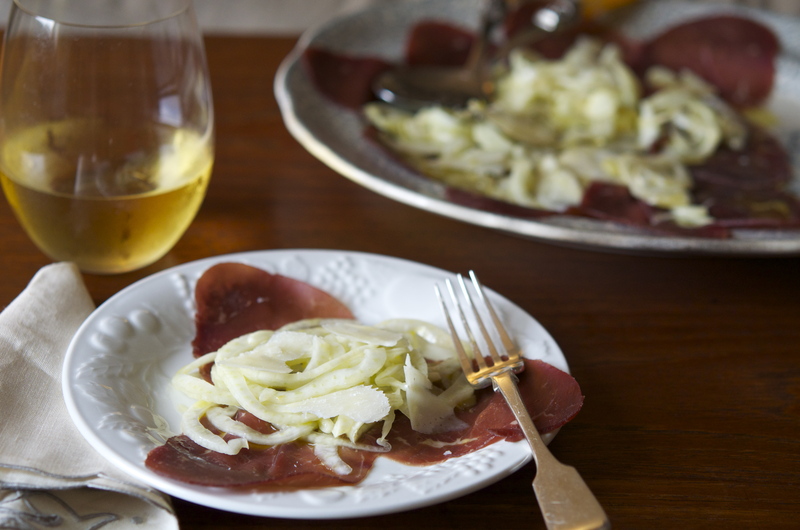 By marinating the fennel, it mellows the flavor completely. 1. Dissolve the salt in lemon juice and then whisk in the olive oil. 2. Thinly slice the fennel, having removed both ends. I use a mandolin to get extra. 3. Marinate the fennel in the olive oil lemon dressing and let rest for at least 30 minutes. 4. 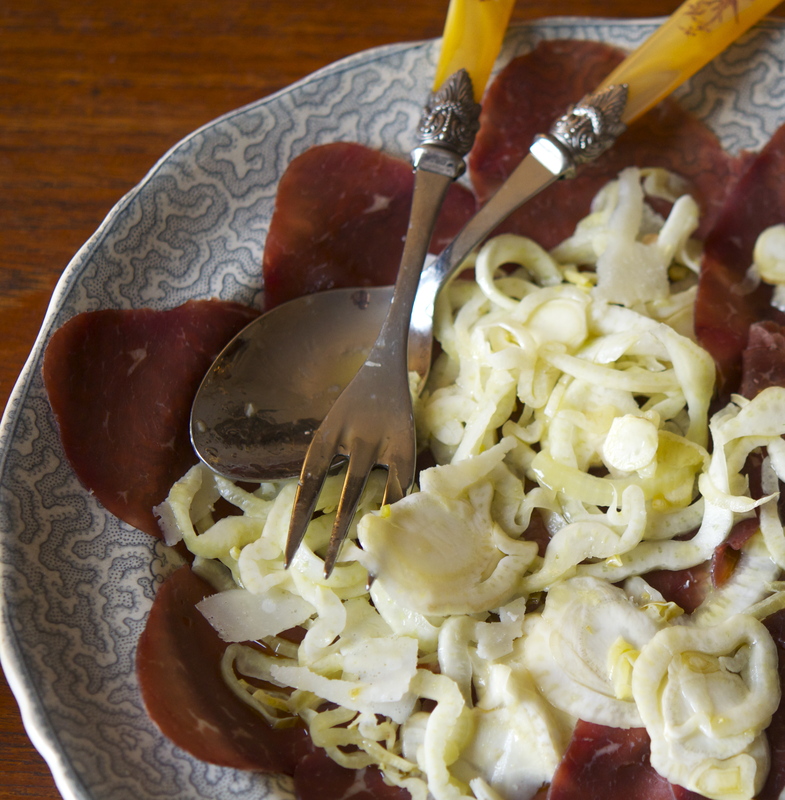 Pour the mixture over a layer of overlapping slices of bresaola. 5. Top with shaved Parmesan.